I am a retired educator. I taught and counseled students in elementary, middle, Junior High and High school for over thirty years before retirement. I was a psychology teacher, a special education teacher and a counselor. My wife Barbara and I have lived in Kershaw County on family land for the past thirty years. I am a wood worker and have built my house from scratch. As a boy, my Grandmother told me stories of my heritage and the interesting fact that my great-great grandfather built his home of hewn logs and built homes for others. This thought stuck in my head and so pretty much had to follow the path my grandmother had set. As a counselor, I noticed that many people wander life in an unfocused way. I decided to become more directed in my life. I made a long list of things I wanted to do in my life (something like the film the "Bucket List") before not being able to do them oneday. One of those things on the list was to learn to play a musical instrument. After retirement, I tried to learn guitar but found without a teacher I wasn't advancing. 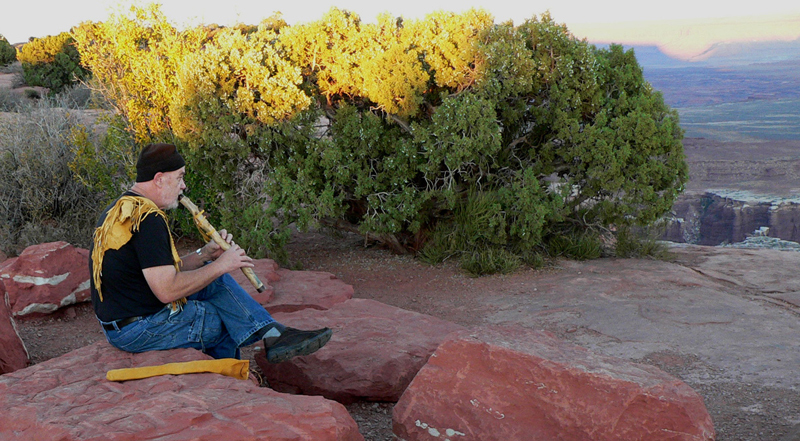 One day I received a brochure which listed a plastic Native American Flute for sale. I had heard the beautiful music of the NAF on a cd while in Deming, New Mexico on one of our many trips West. I ordered the flute and a little booklet on how to play and was surprised that after a week I was actually playing something that sounded like a song! I was fascinated by the flute and decided I wanted to learn to make one. I looked up information on the internet and found the Carolina's Flute Circle. I asked a few questions of members (who are from both North and South Carolina) and was invited by a member to come to Saluda to learn the basics. I made my first flute from Bamboo and since have made many flutes of many sizes out of various woods. I am currently thoroughly enjoying making branch flutes out of limbs from trees. 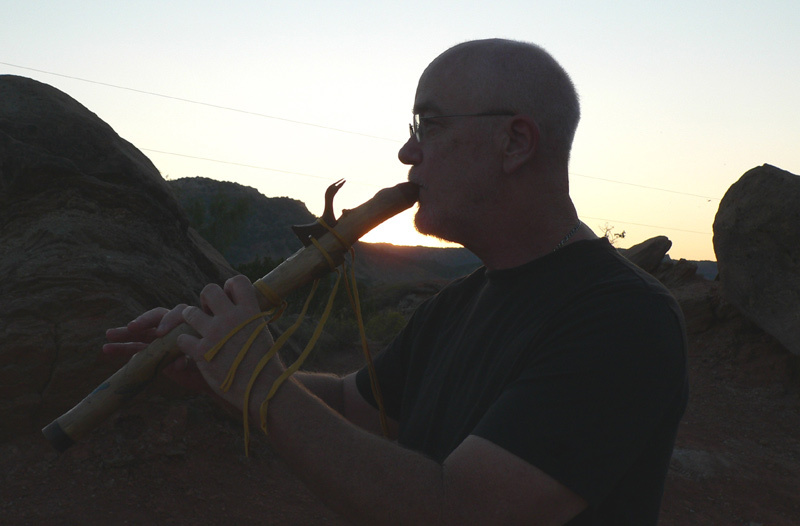 The original flutes made by the Native Americans were branch flutes. I was surprised to find that I am one of only a few flute makers who specialize in making branch flutes. Most makers route their flutes from boards. I find the hand work required in making a branch flute suits my woodworking background. While researching flutes, I have found I am one of only five makers of Native American Style flutes in South Carolina. I am a member of the Carolina's Flute Circle, the Low Country Flute Circle and the INAFA (International Native American Flute Association. I believe these flutes would be of interest to musicians, artists, healers and people interested in Native American culture. Billy Whitefox building his first branch flute "Two Spirits". 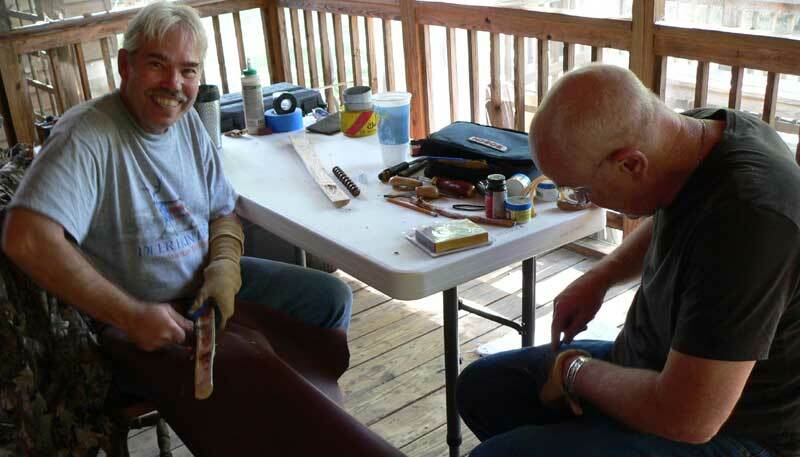 My friend Billy Whitefox recently visited me here in South Carolina to learn the art of building branch flutes. Billy builds river cane flutes which are the type of Native American Flute his Creek tribe traditionally crafts. He is well known for his wonderful playing of the NAF. His latest DVD is entitled "Sirenity" and was developed to promote the Help Save the Manatee project in Florida. I was honored to have Billy play one of my flutes on the DVD.